On February 12, 2015, a coalition of major news companies and journalism organizations gathered to endorse worldwide freelance protection standards. Translations are now available in Arabic, French, Hebrew, Persian, Russian, Spanish and Turkish. 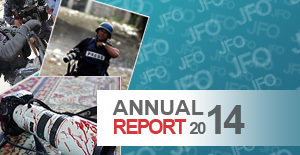 * In late 2015, the Journalistic Freedoms Observatory JFO joined the coalition, organized as A Culture of Safety (ACOS) Alliance, launched new security information sharing, training, insurance and communications initiatives. 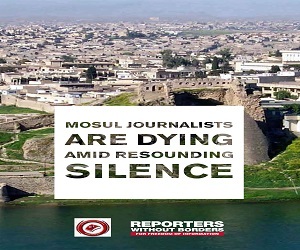 Over the last few years, killings, imprisonments and abductions of journalists have reached historic highs. These attacks represent a fundamental threat not just to individual news professionals, but to the practice of independent journalism. Locally-based journalists face by far the largest threat and endure the vast majority of murders, imprisonments and abductions. We call on governments, combatants and groups worldwide to respect the neutrality of journalists and immediately end the cycle of impunity surrounding attacks on journalists. At the same time, the kidnapping and murder of reporters James Foley and Steven Sotloff brought to light the growing risks faced by international freelance journalists. The undersigned groups endorse the following safety principles and practices for international news organizations and the freelancers who work with them. We see this as a first step in a long-term campaign to convince news organizations and journalists to adopt these standards globally. In a time of journalistic peril, news organizations and journalists must work together to protect themselves, their profession and their vital role in global society. 1. Before setting out on any assignment in a conflict zone or any dangerous environment, journalists should have basic skills to care for themselves or injured colleagues. 2. We encourage all journalists to complete a recognized news industry first aid course, to carry a suitable first-aid kit and continue their training to stay up-to-date on standards of care and safety both physical and psychological. 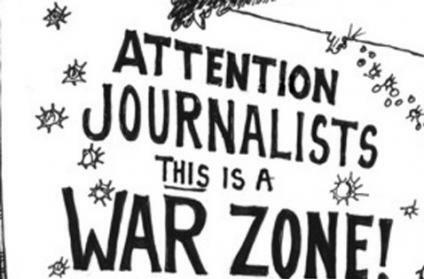 Before undertaking an assignment in such zones, journalists should seek adequate medical insurance covering them in a conflict zone or area of infectious disease. 3. Journalists in active war zones should be aware of the need and importance of having protective ballistic clothing, including armored jackets and helmets. Journalists operating in a conflict zone or dangerous environment should endeavor to complete an industry-recognized hostile environment course. 4. Journalists should work with colleagues on the ground and with news organizations to complete a careful risk assessment before traveling to any hostile or dangerous environment and measure the journalistic value of an assignment against the risks. 5. On assignment, journalists should plan and prepare in detail how they will operate including identifying routes, transport, contacts and a communications strategy with daily check-in routines with a colleague in the region or their editor. Whenever practical, journalists should take appropriate precautions to secure mobile and Internet communications from intrusion and tracking. 6. Journalists should work closely with their news organizations, the organization that has commissioned them, or their colleagues in the industry if acting independently, to understand the risks of any specific assignment. In doing so, they should seek and take into account the safety information and travel advice of professional colleagues, local contacts, embassies and security personnel. And, likewise, they should share safety information with colleagues to help prevent them harm. 7. Journalists should leave next of kin details with news organizations, ensuring that these named contacts have clear instructions and action plans in the case of injury, kidnap or death in the field. 1. Editors and news organizations recognize that local journalists and freelancers, including photographers and videographers, play an increasingly vital role in international coverage, particularly on dangerous stories. 2. Editors and news organizations should show the same concern for the welfare of local journalists and freelancers that they do for staffers. 3. News organizations and editors should endeavor to treat journalists and freelancers they use on a regular basis in a similar manner to the way they treat staffers when it comes to issues of safety training, first aid and other safety equipment, and responsibility in the event of injury or kidnap. 4. Editors and news organizations should be aware of, and factor in, the additional costs of training, insurance and safety equipment in war zones. They should clearly delineate before an assignment what a freelancer will be paid and what expenses will be covered. 5. Editors and news organizations should recognize the importance of prompt payment for freelancers. When setting assignments, news organizations should endeavor to provide agreed upon expenses in advance, or as soon as possible on completion of work, and pay for work done in as timely a manner as possible. 6. 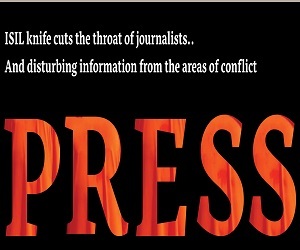 Editors and news organizations should ensure that all freelance journalists are given fair recognition in bylines and credits for the work they do both at the time the work is published or broadcast and if it is later submitted for awards, unless the news organization and the freelancer agree that crediting the journalist can compromise the safety of the freelancer and/or the freelancer’s family. 7. News organizations should not make an assignment with a freelancer in a conflict zone or dangerous environment unless the news organization is prepared to take the same responsibility for the freelancer’s wellbeing in the event of kidnap or injury as it would a staffer. News organizations have a moral responsibility to support journalists to whom they give assignments in dangerous areas, as long as the freelancer complies with the rules and instructions of the news organization. In conclusion, we, the undersigned, encourage all staff and freelance journalists and the news organizations they work with to actively join in a shared commitment to safety and a new spirit of collegiality and concern.